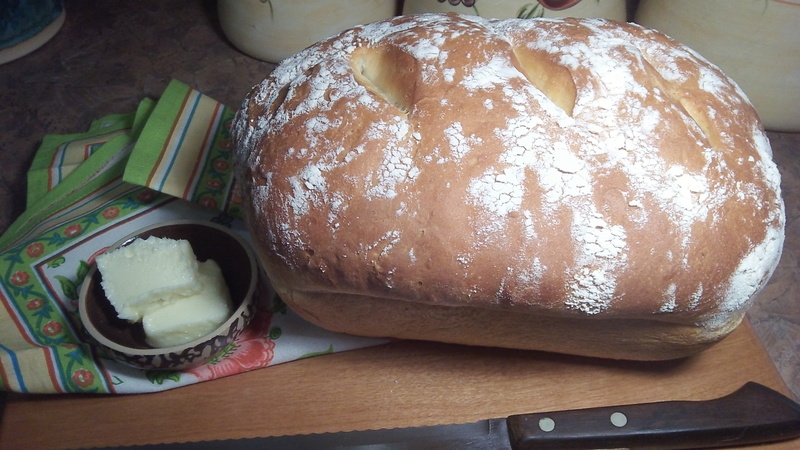 Your bread machine will do most of the work after you measure in the ingredients. You can cut fat and calories in this protein-packed, hearty, but light, flavorful, luscious bread by using nonfat Greek yogurt if you prefer. The yogurt imparts a slightly sour edge reminiscent of sourdough, but with a less chewy crumb. This pane is perfect for all uses: with pastas, soups, stews, salads and warm slathered with butter and jam—toasted or not! Perfecto! 2 1/2 teaspoons active dry yeast; SAF Gold from King Arthur Flour is preferred. 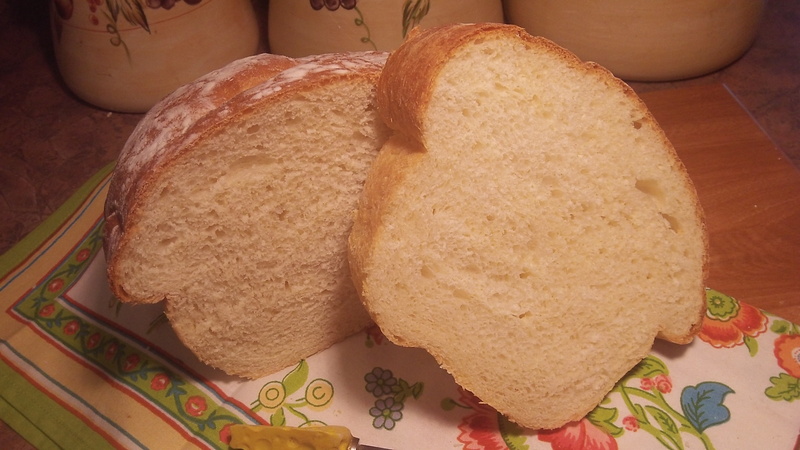 Add the ingredients to your bread machine in the order suggested above. Choose dough setting and allow your machine to do the work. You can use up to 1/2 cup more bread flour if the dough seems too sticky. You can complete the bread in the machine if you like, but I remove the dough from the machine when setting is complete. Punch down and place in well greased bread dough pan. Snip top of dough 3 times, about 2 inches apart, with kitchen scissors. Sprinkle top with a small amount of flour—this is for presentation and so dough does not stick to waxed or parchment paper. Cover with paper of choice and a clean kitchen towel, place in the warmest part of your kitchen and allow to rise until doubled, 45-60 minutes. Remove towel and paper. Bake in preheated 400 degree oven for 35-40 minutes, until golden. Remove from oven, place on wire rack and cool in pan for no more than 5 minutes. Remove from pan, cool on rack for at least 45 minutes before slicing. Store at room temperature in bread bag or airtight container for up to 4 days. Freezes well too!